Are you planning to come to London any time soon? Then you should take advantage of its great accommodations and book one that can be accessible as price, location and required facilities. Your choice will prove to be quite complicated and take a few hours of your free time, as this lovely capital city has so many hotels to offer. 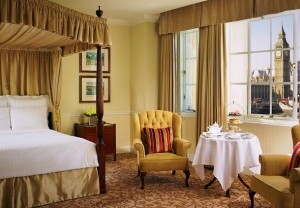 A warm recommendation would be London Marriott Hotel County Hall. This hotel is perfectly situated in the famous South Bank area. This means that you will constantly have breath taking views at your disposal, while enjoying dinner or a romantic walk. Among the beautiful nearby attractions there are the London Eye, Westminster Abbey, Covent Garden and the Royal National Theatre. Besides these means of entertainment, we should not forget to mention the luxurious facilities, marvellous architecture and interior design. In order to get a Gatwick to London Marriott Hotel County Hall Transfer by rail there is one main option: you could take the train from Gatwick Airport (every 10 minutes), followed by a bus from Westminster Cathedral (every 5 minutes) and a 1 minute walk. This journey will take about 42 minutes in total. A Gatwick to London Marriott Hotel County Hall Transfer by car can be done by taking the M23 motorway and then the A23 road. Gatwick Airport is at a 27.4 miles distance from London Marriott Hotel County Hall. This journey will take about 58 minutes, without including traffic. A Gatwick to London Marriott Hotel County Hall Taxi Transfer with 247 Gatwick Airport Transfer is going to take about 1 hour and 28 minutes, including rush hour traffic. The price for a Gatwick to London Marriott Hotel County Hall Taxi starts from 60 GBP.